ONI Bureau: Speculation is rife that eminent Bollywood stars and cricket legends will attend the closing ceremony of the World Cup Hockey on December 16. 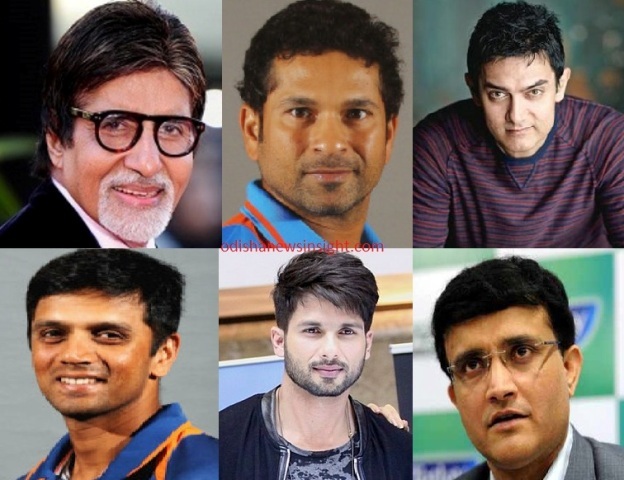 As per reports, film stars Big B Amitabh Bachchan, Aamir Khan and Shahid Kapoor along with cricket legends master blaster Sachin Tendulkar, Rahul Dravid and Saurav Ganguly may attend the closing ceremony at the Kalinga Stadium in Bhubaneswar. The Sports and Youth Affairs Department has sent formal requests to the Bollywood stars and Indian cricketers for participating in the closing event, said sources. Final confirmation is awaited.